Fisherpond Great House is run by John Chandler and his wife Rain, who have restored an old plantation home into one of the finest restaurants in Barbados. 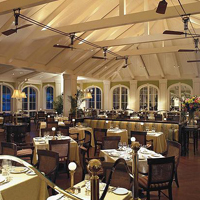 This restaurant is rated the very best in serving traditional Barbadian food. A planter’s buffet lunch for which they are renowned is served every Sunday.